UPDATE: You can now submit music to Spotify playlists using the new Soundplate Website. There are new Spotify playlists you can submit music to being added daily! Playlists have now become one of the most important avenues for music promotion. Getting your music on to a powerful playlist can generate thousands of plays for your music on Spotify, Apple Music or Deezer. Many of the biggest playlists are controlled internally by the platforms or by the major labels. Getting on to the playlists owned by the platforms can take a lot of hard work and persistence and getting on to the playlists controlled by the major labels is extremely difficult unless you are signed to one or working directly with them. Fortunately, there is a third option for getting music into powerful Spotify playlists and that is to submit music to independent curators. These playlists are often smaller but don’t let this put you off. 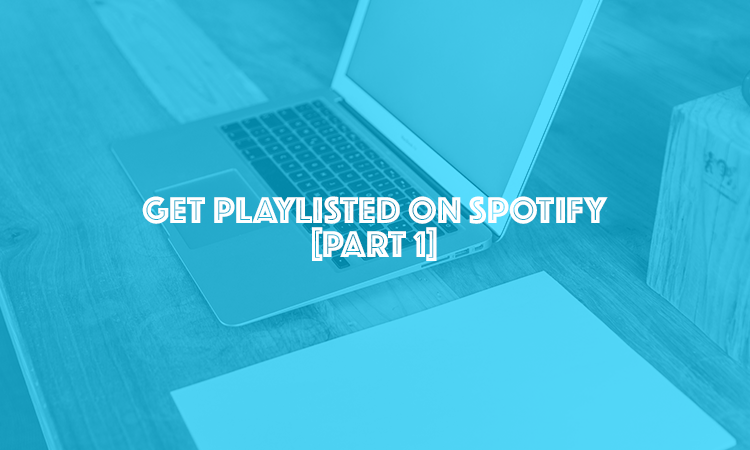 Getting into several independent playlists will help raise your play count, expose you to more tastemakers and can eventually lead to the powers that be at Spotify or Apple Music taking note of your music and adding you to the main playlists. One of the largest of the independent curators, Indiemono own and run tons of great Spotify playlists covering all kinds of genres and moods. Indiemono currently only accept music submissions via Submit Hub. Soundplate, the electronic music record label and blog also run a series of playlists on Spotify. You can submit music to be considered for these Spotify playlists via a dedicated section of their website (linked below). Songpickr aim to surface “warm, organic, vintage sound in todays music”. The ‘Best Songs of’ the year playlists are an excellent place to find some hidden gems. Songpickr has more than 30,000 followers on Spotify and their biggest playlist is currently sitting at 137k followers. Get in contact with Songpickr via Facebook or email..
WHPH are a smaller but very cool team of curators. Their playlists also cover a wide-range of playlists, their biggest playlist currently has around 300 followers and is growing all the time. You can submit music for them to consider via the form on their website. This-List are a small and totally independent team of playlist curators. They pride themselves on having a playlist for every occasion. Check out their website for more details! Would you like us to add a playlist curators section to our music directory? We are considering adding playlist curators (and other Spotify promotional resources) to our directory. Do you think this is a good idea? Let us know by leaving a comment below or tweeting us @MusicFibre.